Pinterest and Instagram are two photo sharing platforms that aren’t so different from each other. Even if they might be somehow alike, they are not identical. In order to see the main difference, you should look at how people usually use them. On Pinterest people usually post cool pictures that they find online. On the other hand, Instagram is used to post personal photos that you’ve taken or created. People love using Instagram because uploading photos is such a fun activity, and Instagram makes it accessible to everyone. Most of all, people love showing other people how great they are at “living”. Nowadays, a photo is all you need to prove that your life is amazing. An Instagram account can be easily linked to your Facebook account so your pictures will be seen by your Facebook friends as well. Pinterest is usually used by people who search something that interests them, like hobbies and deep passions. They can like and share pictures so their followers can also see the pictures. 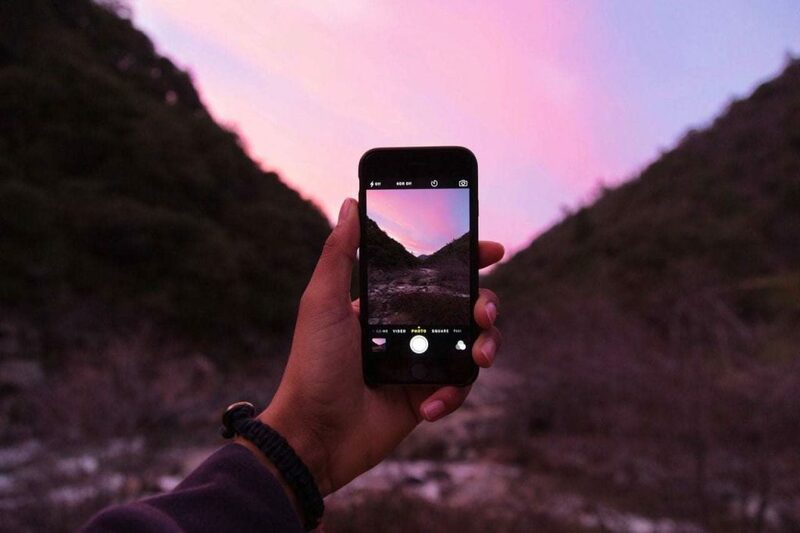 Instagram is an app that allows you to take photos and videos from a mobile device, edit them using different filters, and then share them all over social media. Instagram offers you the opportunity of creating stunning pictures that will make you and your business look professional. Instagram is the most famous photo sharing app. You can easily capture a photo and share it on Instagram without the need of saving it on a PC. Instagram provides a ton of filters. Filters can help you create a much more meaningful and qualitative picture. Instagram is a smartphone app. The web version is not working well and it’s pretty annoying. The search option doesn’t search for the real name of the user only for their Instagram name. Only small photos can be uploaded. Pinterest is a social network that lets you collect and share interesting stuff you find online. Learning how to use Pinterest is extremely easy. Pinterest allows you to organize your photos into collections or pinboards. Whenever you see an interesting image, don’t forget to pin it to your collection. Selective Following – Pinterest lets you follow boards, making it easier for people follow what they are truly interested in. Anyone can see anything. Makes it easier to connect with like-minded people even if they are strangers. You don’t have to post comments – just follow boards. Pinterest is not for everybody, it attracts very specific audiences. This might be a good thing or a bad thing, depending on your niche. Images are a must – you can’t create a post without a high-quality image. Copyright issues – as long as you post your own pictures you’re fine. But you might get into trouble if you start posting images that are not yours. How to Generate Leads with Instagram? Instagram has a huge marketing potential (it has more than 700 million accounts already) so let’s take a look at a few Instagram tips that can help you to generate leads for your business. You may easily transform one time customers into life customers simply by creating a personal connection. Use your posts to create that emotional trigger. Most of your posts will be visual, therefore they can create an emotional connection. In order to generate more leads, you must conceive a great social media strategy. Questions like: How will you post? When will you post? What will you post? How often? – Use these questions to create your strategy, and keep optimizing as you go. Videos are a great way of attracting customers and create relationships. There is a study that shows that 64% of consumers are more likely to buy a service or a product after they’ve watched a video. So, make sure you integrate videos on your Instagram Page. A great way to start generating leads with Instagram is to create and launch an ad campaign. In case you don’t have a lot of followers and you want to generate leads quickly, using ads is the best chance you get. Even companies that have thousands of followers use ads – it makes it easier for their audience to get back to their site and see their newest offers. If you already know how to create ads on Facebook, then launching an ad campaign on Instagram will be a child’s play. Instagram is owned by Facebook so, the two share the same ad building. A great way to generate leads using Instagram revolves around asking your target audience to tag a friend. A while ago, the only way you could refer a friend was through email. Tom Daniels, a Marketing manager at Aussie Writings, states that “Nowadays, you can tag your friends directly in the comments. When your followers tag their friends in one of your posts, Instagram immediately notifies the friend, sending him back to your post. So, now you’ll have a new potential follower”. How to Generate Leads with Pinterest? We prepare the following Pinterest tips if you want to find more on how to generate leads from your Pinterest account. If your account will be used to generate leads, make sure that your account is registered as “business”. If you already own an account you don’t need to create a new one, just convert it. Why should you do this? Simple, if you wish to generate leads you can’t do it without analytics. And this is exactly what a business account offers you, besides the many other features. Every pin must have a description. Therefore make sure it’s a good one. Helpful – Everyone should know exactly what the pin is about. Detailed – Your description should not belong nor short. Make sure to choose your words wisely so people will be encouraged to move towards your website/blog. This is the only way of standing out. Imagine that there are thousands of different pins, how can your pin stand out? Don’t reinvent the wheel. Stick to the normal process and add twists. Focus on colors and on their impact. For example, pictures that are red or pink get shared more often than blue pictures. Make sure to include relevant text. A short and concise text might increase the engagement. Isn’t it obvious? It definitely is but this is an important point that needs to be shared. If your images are stunning and visually interesting, there is a greater chance that people will repin them. The right choice would be to create your own content, but that’s not always as easy as it sounds. This takes time and not all of us have it. Therefore, make sure you’re always on the lookout for incredible pictures that you can repin to your board. 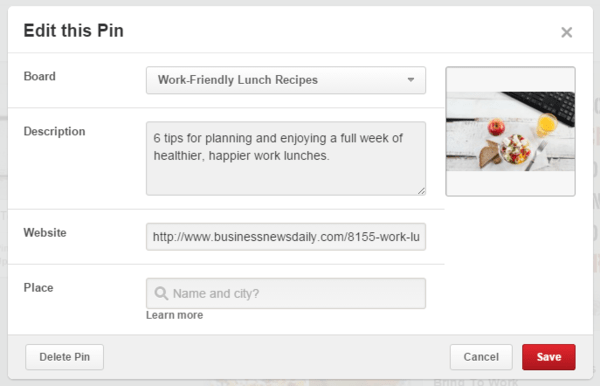 Pinning items is easier if you chose to install the bookmarklet. However, don’t start pinning 30 images at once. This will make you look like a spammer by other people. The larger images the better! Usually, images that are at least 800pixels get more pins and repin than other images. Why is that? Well, they can be seen much easier. It as simple as that. Sharing your text content in a visual way, using infographics, is extremely efficient. So, if you want to share important information regarding your business, make sure to do it via infographics. Most Pinterest users do not take the time to comment on pins. So, if you want to stand out, start commenting on pins that interest you. You can either compliment the pinner or share additional valuable information on the subject. Commenting on posts is always a great way of creating new contacts. Your mission is to engage the pinner and create connections. A quick advice: it would be a great idea to comment only on pins that are posted by accounts that have at least 1000 followers. Your comment will be seen by everyone who follows the pinner. In this way, more people will see your brand, out of which many will become your followers. Each time you create an article or add interesting content to your blog, make sure to add a picture as well. In this way, your followers will be able to pin the image to their boards. As you can see, both platforms can play an important role in your business. Both are great for generating leads. Both are easy to use, and vital if you wish to advertise your brand in a more visual way. So, stop wasting time and get to work! Olivia is a journalist who is always ready to experience new things and share this experience with others. She is passionate about art and writing. That is why she usually spends time writing new articles or traveling around the world. Follow Olivia on Facebook and Twitter.